This end-terrace holiday cottage is ideally located in the ancient town of Bishop’s Castle in an Area of Outstanding Natural Beauty. This upside down, former stable block provides perfect accommodation for a romantic break in a beautiful part of the country. Walk down the cottage path to the front door, which takes you straight into the light and airy bedroom, complete with en-suite facilities. The open plan accommodation on the first floor includes a very well-equipped kitchen, dining area and sumptuous seating area, which boasts a beamed vaulted ceiling. This cosy cottage has been thoughtfully furnished, complete with the owner's personal touches. The front garden has seating areas and a barbecue, an ideal place to unwind and enjoy a good book or a spot of alfresco dining. 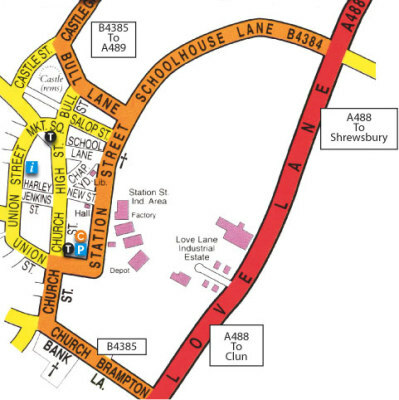 The town's many amenities are just a stroll away and a number of walks and cycle trails can be enjoyed from the doorstep, with the Shropshire Way running through the town and Jack Mytton Way close by. Ludlow, Shrewsbury and Montgomery are within easy reach and make a great day out. 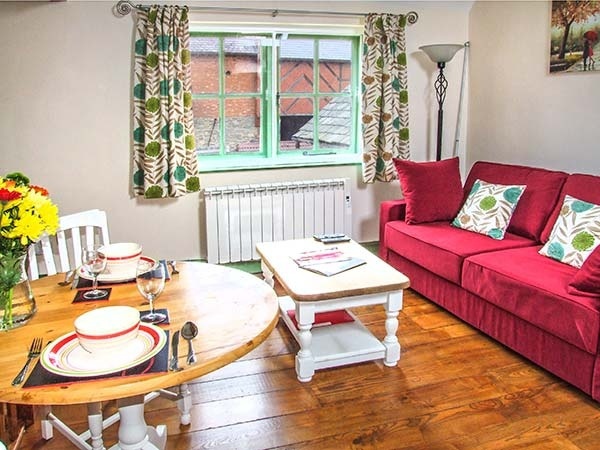 A delightful cottage, perfect for a relaxing break at any time of year. Bishops Castle is a small medieval market town nestled in the South Shropshire Hills. Ideal for those that love walking or just want a relaxing quiet break. Offering a wide variety of shops and places to eat in the town itself, surrounded by some of England's most stunning countryside. Bishop’s Castle is an excellent centre for exploring the unspoilt hill country of the area – most of it in the Shropshire Hills Area of Outstanding Natural Beauty. Well way marked paths go through many of the hillside and valley villages of the Rivers Clun and Upper Onny, making walking straight from the towns and villages a real pleasure. With the cottage located directly behind the Three Tuns Brewery (the oldest brewery in the UK) this makes an ideal place to start. There are a lot of places to visit and see locally with Powys Castle, the historic towns of Ludlow, Shrewsbury, Welshpool all close by. 1 Stable Cottage in Salop Street is located at the top of the town, just off Schoolhouse Lane and Station Street (coloured yellow on the map). 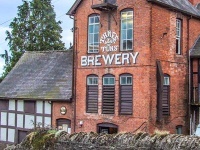 The property is located behind the pub and brewery and is through a doorway by the back yard entrance to the pub, under the yellow Three Tuns sign.